So deep was her shyness that, as a high school senior, she prayed that if she finished first or second in her class, she would get smallpox so that she wouldn't have to be valedictorian or salutatorian and have to make a speech at graduation. She put the responsibility for her avoidance of that speech in the hands of a higher power, but circumstances forced her to face -- and speak to -- the public. Eventually, she became the first of the First Ladies with her own press secretary, made hundreds of public appearances and wound up giving as many as 16 commencement speeches, if only to accept her own honorary degrees. She was shy, and in the presence of powerful men, she usually kept her counsel. Sensing that I was shy, too, and aware I had no experience to enforce any opinions, she said: “Don't worry. If you are unsure of what to say, just ask questions, and I promise you that when they leave, they will think you were the smartest one on the room, just for listening to them. Word will get around,” she said. She never flinches. Up to forty times a day from the platform of the caboose she will speak, sometimes raising a single white-gloved hand to punctuate her words — always the lady. When the insults grew so raucous in South Carolina, she tells the crowd the ugly words were coming "not from the good people of South Carolina but from the state of confusion." In Columbia she answers hecklers with what one observer called "a maternal bark." And she says, "This is a country of many viewpoints. I respect your right to express your own. Now is my turn to express mine." Ask questions. More than a stall tactic for the shy speaker, asking questions of your audience--whether it's one person or 500--will help you to better understand your hearers. You'll be less likely to make a misstep with the help of this "market research." It builds your confidence, and theirs in you. And it's a great attention-getter. Word will get around. Whether you're quiet or loquacious, people are watching. 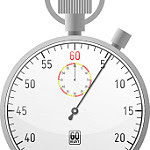 Your reputation rests on moments when you're resting, as well as when you're actively speaking. Speak calmly and for yourself. 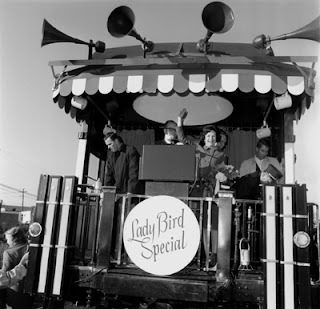 Lady Bird Johnson was spit on, yelled at, had things thrown at her, heard her children insulted, and still remained calm in front of the angriest of audiences. In some cases, she confused and silenced the protesters who were seeking to embarrass her, simply by acting as she planned, rather than reacting. And she spoke for herself: In disagreeing with the protesters, she used "I" statements, saying, "I respect your right" to disagree, but insisting on her own right to express her views. Have you ever sabotaged your chance to speak publicly? Or, if you're shy to speak, what do you do to build confidence? Let us know in the comments. 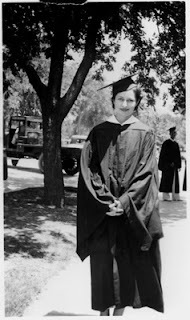 Photographs of Lady Bird Johnson at her 1934 college graduation and on the 1964 whistle stop tour courtesy of the LBJ Library.